Officials have announced that Japan's whaling mothership, the Nisshin Maru, received halal certification in November 2013, making the meat it processes available to the 100,000 or so Muslims living in Japan. (That's less than one percent of Japan's total population.) In order to be certified, the ship changed the disinfectant liquid used for handwashing, to avoid any possible contamination from an alcohol solution. "If whale meat, which is by-product of the research whaling, can be consumed as a good protein source for Muslims in Japan, I think it is a good thing," said a spokesman for ship owner Kyodo Senpaku. 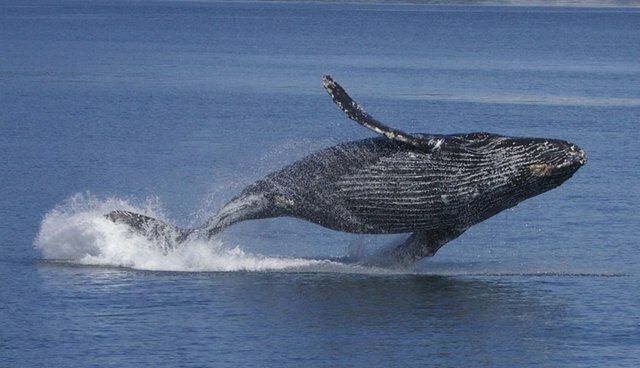 While the International Whaling Commission banned whaling in 1984, Japan still hunts whales on the pretense of "scientific research," and says that the meat is sold as a byproduct. Many activists have refuted this claim, including conservation group Sea Shepherd's Captain Paul Watson, who says that Japanese harpoon vessels are slaughtering protected, threatened and endangered whale species. The whalers made headlines last month when they were caught by Sea Shepherd hunting in the Southern Ocean Whale Sanctuary, where commercial whaling is prohibited.